We are thrilled today to have the chance to interview Classic Brit award nominee Thomas Cameron. On 6th June he will be launching his new album, ‘The Voice of Thomas Cameron’ in Exeter. Details and tickets available through Thomas’s website. 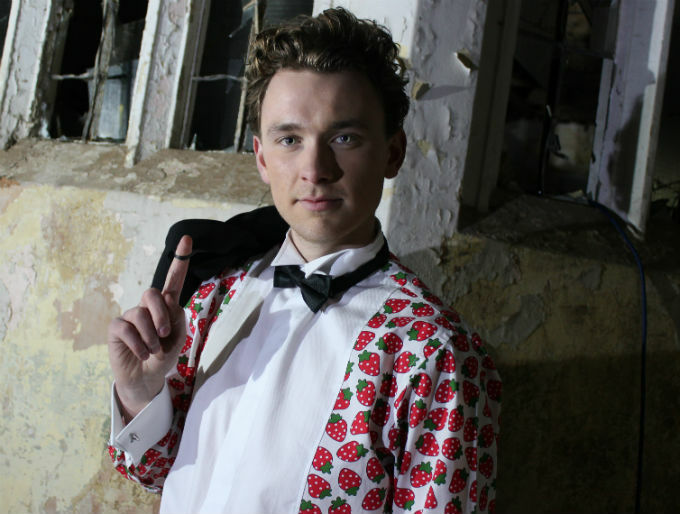 As if a tour and album launch were not enough, Thomas is also a brand ambassador for the London based shirt manufacturer Just Winston and the unique Bow Tie company, Bow Dickie Designs. It was truly a pleasure to work with Thomas on this interview and we wish him every success for his upcoming tour, album launch, and of course his Fringe performance! A Night at the Musicals with Thomas Cameron is being performed at Stockbridge Church at 6pm on August 26th. Tickets available through the Fringe box office – click here.